The Union Power Minister, who visited the plant announced an ex-gratia amount of Rs 20 lakh to the families of the deceased, while a magistrate probe has been ordered. 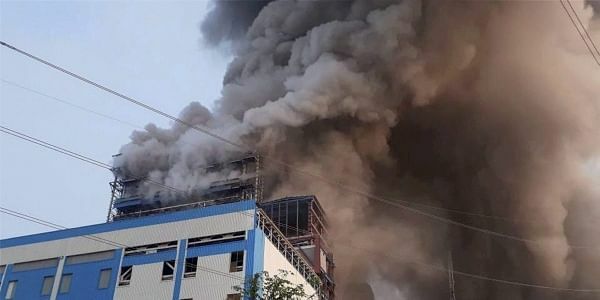 NEW DELHI: The toll in the explosion at NTPC's Unchahar plant climbed to 32, with nine more deaths reported today, even as Congress vice president Rahul Gandhi and other opposition leaders descended on the accident site and demanded a judicial probe. Union Power Minister R K Singh also arrived at the site to oversee relief measures in what is one of the worst tragedies at a power plant in recent history and even came face to face with Rahul Gandhi at one point. Singh announced Rs 20 lakh ex-gratia for the next of kin of those killed in the accident. The Centre also ordered a probe by the NTPC's executive director into the incident while the state administration ordered a magisterial probe. "Twenty nine persons have succumbed to injuries and 85 were being treated at hospitals in Rae Bareli and Lucknow," the NTPC said in an official release. Congress leader Rahul Gandhi, took a break from campaigning in Gujarat and met the victims and their families. The Rae Bareli Lok Sabha seat is represented by his mother, Congress president, Sonia Gandhi. His office tweeted, "Labourers have said that the accident took place due to negligence and that there should be a judicial probe into the accident". I was sad to see the pain of victims of the NTPC incident and their families should get better compensation and government jobs, while the injured should get all possible help, the Congress vice president said. Rahul Gandhi was accompanied by senior party leader Ghulam Nabi Azad and UP Congress chief Raj Babbar. Azad claimed that a judicial inquiry was important as in the case of a government probe, facts could be concealed. Uttar Pradesh Energy Minister Shrikant Sharma tweeted, "The Centre has constituted a committee to probe the accident. The committee headed by executive director of NTPC will submit its report in 30 days." During his visit to the site, Rahul Gandhi was heard making enquiries about the number of workers deputed at the plant. "People are saying that it (the plant unit) was run early (before schedule). It should not have been run that way. We will demand a probe," he said while speaking to reporters. Meanwhile, Union Power minister Singh announced a compensation amount of Rs 20 lakh to the next of kin of those killed observing that the earlier ex-gratia was not enough. "I am of the view that the ex-gratia which was earlier announced was not enough. Rs 20 lakh compensation will be given to the next of kin of those who died in the accident, while the seriously injured will get Rs 10 lakh and those who sustained minor injuries will be given Rs 2 lakh," he told reporters. This amount is in addition to the compensation provided under the workmen compensation rules, he said. In addition, Prime Minister Narendra Modi approved an ex-gratia payment of Rs 2 lakh each for the families of the deceased. "Prime Minister @narendramodi has approved an ex-gratia of Rs 2 lakh each for the next of kin of those who have lost their lives due to the accident at the NTPC plant in Raebareli, Uttar Pradesh. PM has approved Rs 50,000 each for those injured due to the accident," the prime minister's office said on Twitter. Uttar Pradesh Chief Minister Yogi Adityanath, who is abroad on an official tour, has also announced Rs 2 lakh compensation for the families of those killed and Rs 50,000 for the grievously injured besides Rs 25,000 for the other injured workers. Opposition Samajwadi Party (SP) demanded a probe by a retired high court judge into the boiler explosion. The families of the deceased should be given a Rs 50 lakh compensation, while those injured should get Rs 10 lakh, senior SP leader Ahmed Hasan said. Deputy Chief Minister Dinesh Sharma, who visited the accident site, said, "Our priority at this point in time is that proper treatment should be ensured to the injured persons. We stand by the families of those dead in their hour of grief. Teams of NTPC and NDRF have already arrived here." Meanwhile, the National Human Rights Commission (NHRC) issued a notice to the UP government over the blast. Expressing concern, the commission in a statement said that a "high-level probe into the matter is immediately required to ascertain the negligence and errors, if any, behind the incident, which involves the right to life". It said there was need to ensure that such tragedies do not recur. A detailed report is expected from the government within six weeks, the rights panel said. The NTPC in an official release said that Unit No. 6 (500 MW) of the plant was under shutdown after the accident. However, five other units of 1,050 MW capacity were operating normally. Meanwhile, arrangements were made to for nine persons who received serious injuries in the blast in Rae Bareli yesterday to be brought to AIIMS and Safdurjung hospitals in New Delhi, a senior health ministry official said. All necessary arrangements have been made at the AIIMS trauma centre and the Safdurjung hospital "as directed by the Union health minister", the official said. "About nine patients are likely to be shifted here today," he added. Union Health Minister J P Nadda is in regular touch with the state authorities, he said.